The full complete version of The Moon that Embraces the Sun OST album is released on February 15th, 2012. The music directors of The Moon Embracing the Sun are Kim Jun Suk (김준석) and Jung Se Lin (정세린). Kim Jun Suk used to won two Best Music Awards in Grand Bell Awards, while director Jung Se Lin used to produce several TV series. The Moon Embracing the Sun OST album includes all the previously drama OSTs that been released individually. The full-length album contains a total of 20 tracks. Other than the four OST songs, the remaining 16 tracks are music tracks. With the drama series just broadcast half of its episodes, it’s expected this OST will the CD 1, with another CD 2 with more OSTs released in future. 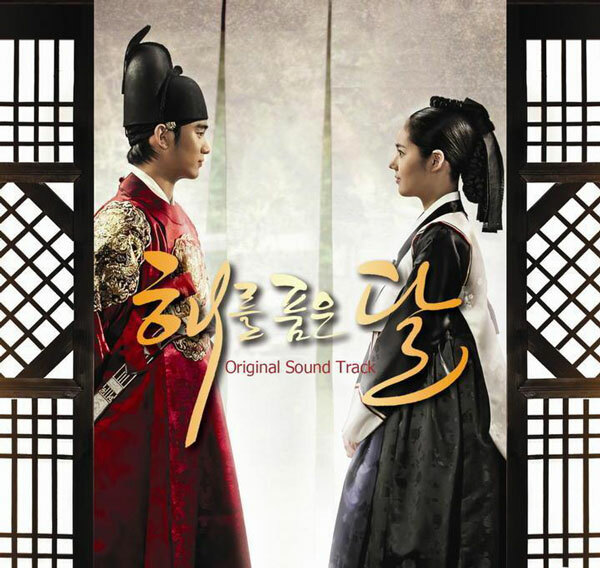 In fact, The Moon that Embraces the Sun Special Edition OST has been released. The Moon that Embraces the Sun OST is available in major music stores from February 15th, 2012, including online stores such as YesAsia (aff).